Welcome to JoomPlace Partners’ Section! 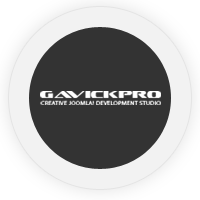 Based on 10 years’ expertise on Joomla! extensions & development market and industry knowledge we would like to suggest the best solutions for building a prominent Joomla! website! Joomla! extensions development company is known for their powerful social extensions EasyBlog, EasyDiscuss and Komento. Enjoy a 15% discount on their products. To view a coupon please register first! Joomla! Development company, the creator of number #1 community software for Joomla! Free ecommerce extension for Joomla! Widely used community system supported by Joomla! TemplateMonster provides a collection of more than 1300 high quality Joomla templates. RocketTheme is the longest running Joomla template provider, producing templates and extensions for over 8 years. If you are willing to migrate your website from WordPress to Joomla CMS2CMS migration plugin is right what you need! We create professional and intuitive Joomla Templates and WordPress Themes. A provider of premium and responsive Joomla! templates since 2010! Creative minimal design templates creator for Joomla! Joomla-Monster.com is selling high quality templates and Joomla! extensions. JoomUnited provides a range of extensions for Joomla like galleries, SEO, and general site management. Since 2006, Yireo has developed over 50 great extensions for Joomla! and Magento, including MageBridge (integrating both platforms). A New Breed of Professional Joomla Template. Jumazi is a team of passionate developer about Joomla and we work to create simple and powerful Joomla products. Web357 specialises in the development of professional websites and premium extensions for Joomla! Professional Joomla template provider focusing on 3rd party extensions themes. We create responsive templates for Kunena, HikaShop, JComments, etc. NorrNext is a team of passionate developers providing powerful and unique extensions as NorrCompetition to organize contest voting at your site. Techjoomla is focused on providing innovative, top notch solutions for the Joomla Community. Some of our popular products, SocialAds, JGive, Invitex, Quick2cart etc. JoomForest provides Premium Templates & Extensions for Joomla!, EasySocial, Kunena, JomSocial and Community. Dashbite's Joomla! products allow businesses to build fast and responsive, networking-based communities, meeting places and intranets.